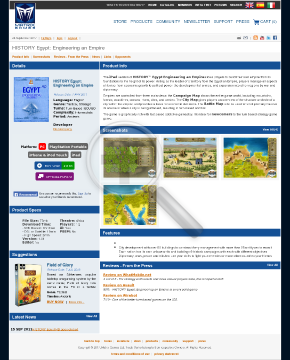 HISTORY™ Egypt Engineering an Empire allows players to build their own empire from its foundations to the height of its power. Matrix Games – What’s Your Strategy? Gettysburg: The Tide Turns is a hex-based wargame set in one of the most decisive and iconic battles of the Civil War. 150 years ago, brave soldiers fought across this idyllic battlefield, and, now, we put you in their shoes. The game captures the realities of 1860s combat through the granularity of hex based gameplay and an innovative randomized turn system. It is a tense and strategic package from the full, sweeping campaign to individual scenarios. Featuring the work of some of the best artists in the business, the game map and interface capture the period while providing the information you need as a commander. You will command a myriad of period units including infantry, cavalry, and artillery. Units vary in strength and morale, and, much like Battle of the Bulge, your success will depend on how you maneuver your forces and engage the enemy. Gettysburg: the Tide Turns goes beyond the you go, I go turn by randomizing when each division will move. This provides tension, as you must respond tactically as new opportunities present themselves. The digital version of the Field of Glory game system rule book. Command mighty armies and claim victory on the Field of Glory! Based on Slitherine’s popular tabletop wargaming system by the same name, Field of Glory now comes to the PC in a faithful adaptation of this acclaimed miniatures wargame! 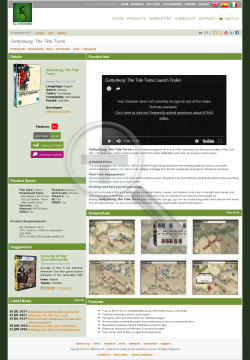 Without the calculations and measurements required for a tabletop game of Field of Glory, the PC version accurately represents ancient combat where you make the important and fun decisions on the battlefield. In this release, march mighty legions across famous ancient battlegrounds from Zama in North Africa to the battles of Boudicca’s revolt in Britain. Later releases will expand to new periods and new areas of the ancient and medieval world. Field of Glory sports an easy to use interface with a focus on having fun in ancient combat. Field of Glory also includes a map-maker and scenario-creator which are just as easy to command as your soldiers are on the battlefield, as well as excellent multi-player support. The King or the Parliament? Choose your side and take command of the Cavaliers armies or the Roundheads and the Covenanters. From Scotland to Dover, from Wales to Kent the counties raise their regiments to defend the King or Parliament. To remain neutral is not a choice. Manage your resources, your loyalty, your best leaders, choose your strategy and take control of key cities. Became familiar with legendary places like Bristol, York, Arundel, Nantwich, Reading, Oxford,…. Put them under siege or defend them sending a relief army or just find the enemy at the gates of York. With a detailed selection of the historical units of the conflict you will find the Covenanters, Newcastle’s whitecoats, Cromwell’s Ironside’s, the new model Army or the Cornish legendary infantry. Players can build and manage their armies, throughout the campaigns set in the various theaters of operations like Yorkshire, Cheshire, Lancashire, Bristol, Lincolnshire, etc…. Ageods unique system of detailed strategic representation of this eras conflicts makes the difference here your decisions will determine if you can win or become defeated. A set of unique commanders with historical portraits and traits like the Royalist Byron, Prince Rupert, Hopton, Newcastle, King Charles or the Parliamentarians: Essex,Thomas Fairfax, Waller,Cromwell, the Earl of Leven help you in achieving your objectives giving a unique feeling of being in command in those key days of 1642. As commander, direct your troops across a detailed campaign map, capturing territory and planning strategies. You must overcome your opponent, vast distances, and extreme weather to achieve victory. Thanks to the impulse based turn system, youll activate individual sectors: choose wisely, time is of the essence and correct timing is crucial to win the campaign. And be careful, for the turns length depends on weather! 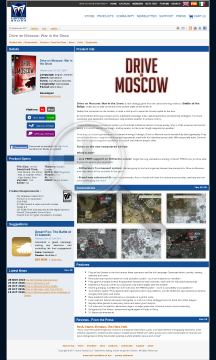 Featuring turn-based gameplay and an award-winning UI design, Drive on Moscow sports wonderfully direct gameplay. Play online, face-to-face or against challenging AI opponents, each with his individual personality. 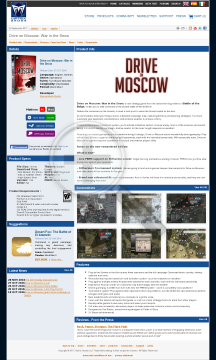 With accessible rules, Drive on Moscow is a great wargame experience for casual and veteran players alike. – Slitherines Tournament system: We are going to host and organize frequent tournaments for Drive on Moscow, and nice prizes will be available for the grab! – Brand new enhanced AI: each AI commander, Axis or Soviet, will have his individual personality, and they are now more challenging than ever! Take Command and Battle Through Europe with Commander: Europe at War Gold! 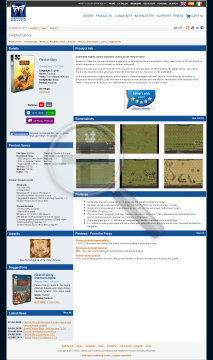 Commander – Europe at War is the first in a series of high level turn based strategy games. The first game spans WW2, allowing players to control the axis or allied forces through the entire war in the European Theatre. Can Germany’s rise be stopped or will the jackboots of the SS march through London? Commander – Europe at War Gold thrusts the player into the command of either the Axis or the Allies during World War II. With only two goals at hand, survive and conquer, the player is charged with building and commanding the combined air, land and sea forces of his side. Advance your research to the cutting edge of technology in order to best your opponents and either conquer or liberate Europe! Commander – Europe at War Gold includes a new Fast Play mode with six additional campaigns as well as a slew of other improvements and fixes since the original release. This brings the PC version of the game to the same level as the recent releases for the Nintendo DS and Sony PSP. Commander – Europe at War Gold is easy to learn and elegant, but deep in strategy and hard to master. Players will find themselves glued to their chairs from the beginning when all mayhem breaks loose across the continent with the invasion of Poland in 1939. Research new technologies, manage your manpower reserves, improve your industry, husband your oil supply and manufacture armies, fleets, and bombers to use all available strategic and tactical might to bring about victory. Commander – Europe at War Gold includes realistic combat resolution that models supply morale, terrain, leadership, equipment, training, strategic weapons and fog of war. To capture the immense scope and distance of WWII, Commander – Europe at War Gold includes a Fast Play mode with 6 campaigns as well as 6 more epic campaigns with different starting points, including the famous Barbarossa campaign, D-Day, the battle for France, and finally the Grand Campaign that will let the player refight the entirety of the Second World War the way they see fit! Gamers who already own Commander – Europe at War do not need to purchase Commander – Europe at War Gold. Instead, just download and install the free v1.12 update from the Matrix Games downloads page and you’ll be upgraded to the Gold level. 20 minutes into the future, a spark erupts in the Korean peninsula that will lead to a theaterwide conflagration embroiling the entire Western Pacific and drag all major powers into it. With nothing less at stake than control over the worlds busiest trade routes and containment of the emergent superpower, the Pacific becomes the worlds stage – and the players are getting down to brass tacks, for this is the game that no side can afford to lose. The geopolitical nightmares of the new century: The creators of the award-winning Northern Inferno shift their gaze from the Atlantic to the Pacific and bring into focus the challenges of the early 21st century: The ever-present tensions between North and South Korea reach a boiling point, while China and the US vie for control of the strategic choke points and bases through which the worlds commerce functions. Will the US maintain its strategic pre-eminence in the most important world theater or will China complete its ascend to superpower status? The new gears of war: Think the new war in the Pacific will be just like the 1940s but with better bullets? Think again! All-new systems and technologies radically change the face of modern high-level conflict. Network and cyber attacks pull apart carefully constructed communications networks, leaving forces in the field blind and separated from their consorts. Electromagnetic pulses delivered from high-altitude nuclear detonations or tactical EMP weapons fry vulnerable electronics, disarming powerful units in a split-second. Massive anti-ship ballistic missiles threaten to turn aircraft carriers into sinking, burning hulks. Railguns deliver accurate, punishing fire at long ranges, challenging the post-WW2 reign of guided missiles. Anti-satellite weapons disrupt the critical communications & intelligence nodes orbiting high in the stars. High-energy lasers burn their targets with intense beams invisible to the naked eye. Are you ready for the intricacies of 21st century war ? 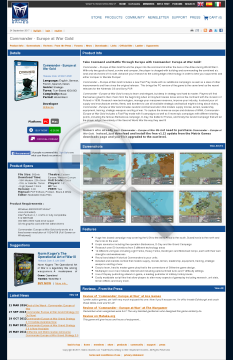 Chains of War is a new DLC release for Command: Modern Air/Naval Operations, the premier game of air & naval combat and the Pentagons hottest new simulation tool. Twelve campaign scenarios walk you through an erupting crisis in the western Pacific that threatens to bring chaos to world order, while an additional four bonus standalone scenarios take you back to hotspots in the past that did not lead to conflict – but could easily have. The Chains of War are rattling loose. The world is right to fear their tremble; for a new superpower war may prove to be mankinds last spectacle. Matrix Games – Command Live: You Brexit, You Fix it! 23 August 2016, Europe is reeling politically and economically from the downstream effects of the UK deciding to leave the European Union – the BREXIT. Both the British Pound and the Euro are near collapse and the global stock markets have not yet recovered from the initial shock of the British move. European based companies and stock markets are in disarray as they attempt to negotiate their way out of the new reality which is settling upon the continent after a very tumultuous summer. Weeks after the British vote, France, Denmark and Italy initiated their own referendums to proceed with an ‘Article 50’ departure from the EU. Greece, still tottering economically and staggering under the pressure of hundreds of thousands of refugees streaming in from across the Mediterranean has been forced into yet another election campaign. Portugal and Spain have seen the small economic gains they have made in the past few years washed away in the monetary disaster which is hitting them very hard. Eastern European countries are becoming more ‘hard line’ in response to refugees and asking the EU government in Brussels some very tough questions vis-à-vis the costs and benefits of the union. Both the Scottish National party, which is in the process of organizing a 2nd referendum to leave the UK, and the Basque Separatists in Spain are now leading the few remaining Euro advocates. Even Turkey has stopped asking to be part of the EU for the first time in decades. Meanwhile the US is going through one of the most divisive and violent election campaigns in history, with dozens if not hundreds of protesters arrested at every political event and where the number of politically motivated killings is shocking both the world and the domestic political establishment. Through this turmoil, NATO decision makers have struggled with a patchwork of collective defence initiatives in the Baltic and Ukraine. As reinforcement to the standing ‘Baltic Air Policing’ operation and training missions in the Baltic countries and Ukraine; a multi-national Brigade, led by four nations and consisting of troops from 5 others, spread across four countries (Latvia, Lithuania, Estonia & Poland) is touted as the solution. Although judged anemic by most experts, placing American, British, German and Canadian troops in the Baltics displays a commitment to the region that if Russia were to attack is would be attacking the whole alliance not just the local forces. The turbulence is not missed by Russia. With NATO destabilized politically, the whole idea of a cohesive command structure with an ability to react rapidly is in question. The Baltic States (Latvia, Lithuania, and Estonia) have long been a thorn in the side of the Russian Federation: Ethnically they have large Russian populations; strategically they isolate the key to Baltic defence, Kaliningrad; politically they should never have been allowed to slip into NATO’s sphere of influence. Perhaps now is an ideal opportunity to right the wrongs of the past and exert newfound strength where and when NATO is at its weakest. If the Baltic States can be taken in a short 1-2 day campaign without tipping the world into another global conflict, NATO may never recover. A short window of opportunity exists before the Multi-National Brigade deploys, if only a few aircraft are engaged and no NATO ground troops, it is much easier to de-escalate. The second scenario is this set ‘No BREXIT, no Problem!’ will portray a cohesive, non-destabilized NATO response. The People’s Republic of China’s primary foreign policy concerns are energy security and trade. Its industrial might and economic strength continues to multiply requiring significant resources from around the world. 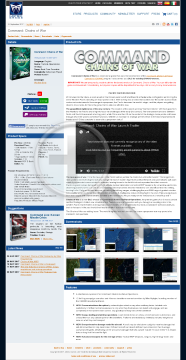 The sea lines of communication (SLOC) between China and the Middle East and Africa are the most vital and China has invested heavily in expanding and modernizing its Navy to protect this route denying potential adversaries the ability to influence Chinese policy by cutting these vital lines and rolling back adversaries away from the Chinese mainland. Recently China has been pursuing a more aggressive policy by challenging its neighbors over the various islands and atolls in the South China Sea. 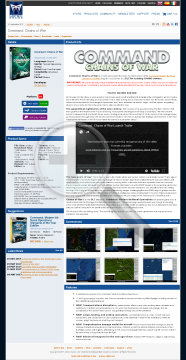 It has shown particular interest in the Spratly Islands and Atolls which while sparse offer a very strategic position to controlling the greater South China Sea. It started its invasion with significant naval patrols and has grown into massive land reclamation projects transforming many deserted atolls into useful island air bases and ports allowing the PRC to dominate the region and have the potential to project power further south. China’s neighbors have hardly been sitting idle while this take over has slowly occurred. Vietnam, Taiwan, the Philippines, Malaysia and Brunei all have claims within the Spratly’s and have challenged China on the waters and in international court a number of times. Vietnam lost a vicious naval skirmish in 1988 over South Johnson Reef and the Philippines recently won its challenge to PRC territorial claims although the results were ignored. China believes a post World War 2 map depicting a nine dash line defines its maritime territory almost as far as Indonesia. It now has the military capacity to defend this claim as independently no regional power can challenge them. They are winning the dispute by virtue of being the largest local military power and willing to use it to bully the small nations out of the region. Russia is in the 4th year of a 15 year project to install the ‘SHELF’ underwater Sound Surveillance System (SOSUS), a very modern equivalent to the US Navy’s Cold War system of listening arrays in the Greenland-Iceland-UK (GIUK) Gap. The difference this time, however, is that the Russians are emplacing this high tech, nuclear-powered system in the Arctic, and that has the United States quite concerned. In recent years the increased access to Arctic waters due to receding polar ice has allowed exponential growth into hydrocarbon (oil & gas) exploration and extraction, as well as much improved capacity for mineral extraction in the north of Russia, Canada, Greenland and Alaska. Since the development of nuclear submarines able to travel under the polar ice cap, the Arctic has been heavily used for both transit of SSNs and others between oceans, and more importantly for stationing of Ballistic Missile Submarines SSBNs. Both the US and Russia routinely position their SSBNs in this region as it provides excellent hiding grounds for these strategic assets; the US is not happy about a Russian detection system limiting their nuclear deployment options. Neither Russia nor the US wants their operations in the Arctic to become public knowledge. Russia does not have its system fully operational and the US has many other issues on its plate. There is a limited degree of plausible deniability involved in all actions in the north, there are few who can detect them and fewer yet who care to reveal what has been detected. Environmentally the Arctic is one of the most fragile ecosystems on the planet. The receding icepack is seen as forthright evidence of global warming, compounded by enabling more resource exploration which increases both the actual and risk of further deposits of toxic chemicals into Arctic waters, where they take much longer to break down than in warmer climes. The Arctic in summer is home to home to 17 different species of whales, many like the Humpback and Grey whales migrate to the north in order to birth their young in the cold waters. Many others such as the Narwhal, Beluga and Bowhead live in the Arctic all year. Increased development in the North has invited increased environmental scrutiny by government-sponsored agencies such as the Arctic Council and the less accepted but much more recognised groups such as Greenpeace and Sea Shepherd. Meanwhile, there is a major European-based environmental campaign ongoing trying to expose nuclear activity in the Arctic. This is causing some difficulty for Russia as it is in multi-lateral negotiations with European countries to take advantage of its new economic position and Brexit based opportunities. The US is adding its voice to this protest, conveniently ignoring its use of the Arctic by nuclear submarines, by pointing out Russia’s intent to use undersea nuclear generation extensively in Arctic development. Expect your operations to be affected by significant biological and environmental group activity! The USN has been authorized to conduct a pre-emptive operation to destabilize Russian construction activities and halt the development of the SHELF project. A major constraint is that the operation must not be detected! Therefore only Special Forces and submarine forces will be available for this operation and it must be carried out without the public or Russia discovering whom is responsible. Russia knows that something is afoot. There have been mixed messages coming out of Washington but it is clear that naval activity in the Arctic is increasing. The priority for Moscow is to get the summer construction program underway and protect its secrecy as much as possible. The Syrian Civil War started with the Arab Spring in early 2011 but has only become more and more complex since then.With international tensions high, and so many players maneuvering in a very small space, it is amazing that the conflict has not overflowed into a general regional or even global war. The two most likely protagonists in any escalation are Russia and Turkey, countries with many long standing differences of opinion and grudges against each other. In this scenario you play either Russia or Turkey as you attempt to maintain national honour and pride while keeping any hostilities limited. Complicating your efforts are US, Coalition, Syrian, ISIS and Rebel forces. Winning is not always a matter of causing casualties.